From the skyscrapers of Manhattan to the beaches of the Bahamas, it’s fun, fun, fun all the way as BARRY CAIN pounds the pavements of New York before taking a Carnival cruise to the sun. The pavements in Manhattan are the hardest in the world. They have to be to withstand the weight of those frozen tornados disguised as skyscrapers. The terra has never been so firma. After pounding those ineffable streets in search of the American Dream, the body yearns for something more yielding, something that delights the spirit rather than the intellect. 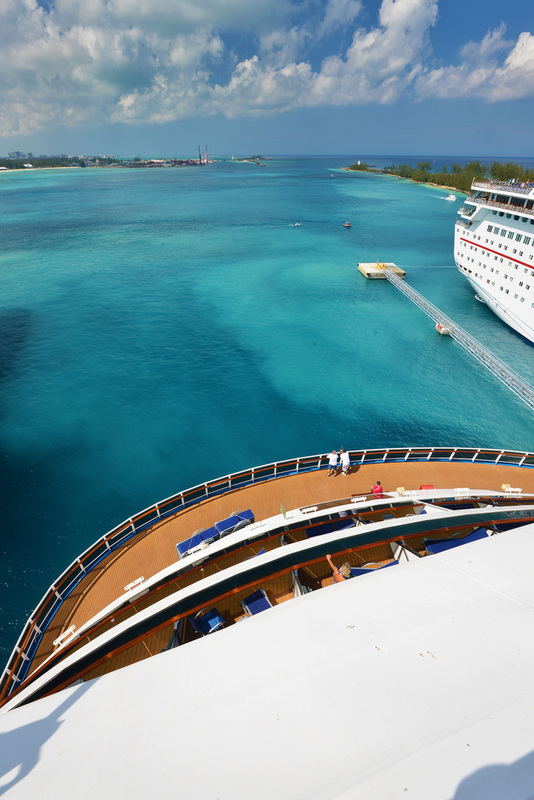 Hold up, isn’t that Carnival Splendor sittin’ on the dock of the bay ready to whisk you away from all that concrete and clay for a magic carpet ride down to The Bahamas and back? And you really will have fun, fun, fun ‘til your daddy takes the T-Bird away. That’s the general idea and Carnival stick to it rigidly and unashamedly. I guess you have to when the whole shebang is billed as a ‘fun cruise’. Frivolity abounds. During the days at sea – there were four of them with three days in the Eastern Caribbean sandwiched in between – the entertainment included a family scavenger hunt, a hairy chest competition, a ladies’ pamper party, a gender showdown, ‘awesome’ karaoke, secrets to a flatter stomach, a limbo competition and a string toss tournament. You get the picture? 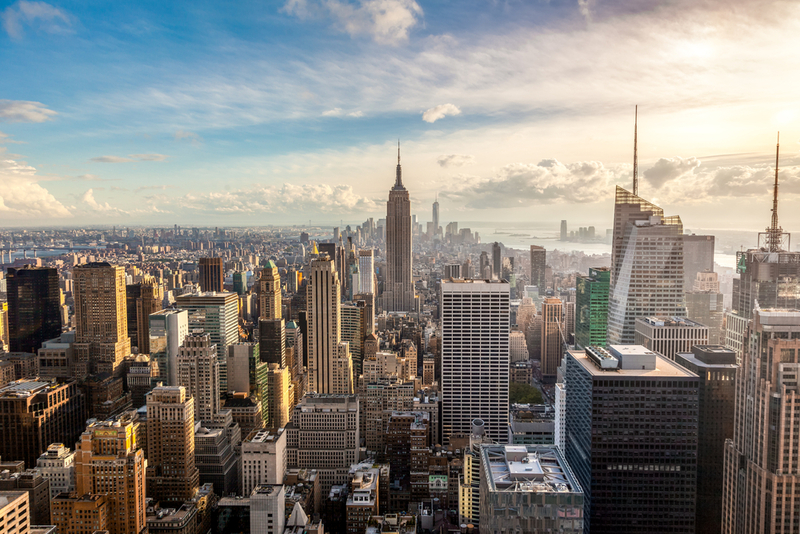 ‘Yes we do!’ cried the 3,127 Americans on board, nearly all living within a 10 hour drive of Manhattan, according to Nickos D. Basistatos, who’s been Hotel Director on Splendor for six years. ‘Usually the furthest places guests come from are Ohio, Illinois, Pennsylvania and Connecticut,’ he told me. tied a few bows, splashed a few thrills. And hey, that’s me, atop the Empire State, catching a glimpse of the future. That’s me again, in Grand Turk, swimming alongside Splendor just yards away from the pearly white beach. island of Half Moon Cay, feeling like I’m 2,000 light years from home. Look, it’s me, sauntering along Bay Street in downtown funkyNassau checking out the limos and rum cake. And yep, me again, watching the World Cup Final live on a giant screen in the middle of the sea, my feet in the pool, my mind elsewhere, grappling with the enigma that is Roy Hodgson and why he’s getting paid £3.5 million a year. 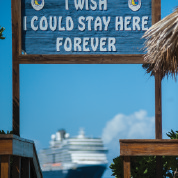 This best of both worlds experience makes for one of the great cruise and stay vacations, but it’s essential to do the stay bit first. Walking the decks of Splendor after a Manhattan surfin’ safari is like stepping off those hot, hard pavements onto sand so fine it doesn’t cling to your feet. That good. If you’ve never been to New York, go. You’re depriving yourself of one helluva jaw-dropping experience. If you’ve been, go again, you’ll get a lot more for your pound this time around and it’s still one helluva jaw-dropping experience. I stayed at the Intercontinental, 37 floors of style in the best possible location if you want to be near the action but not hear it. 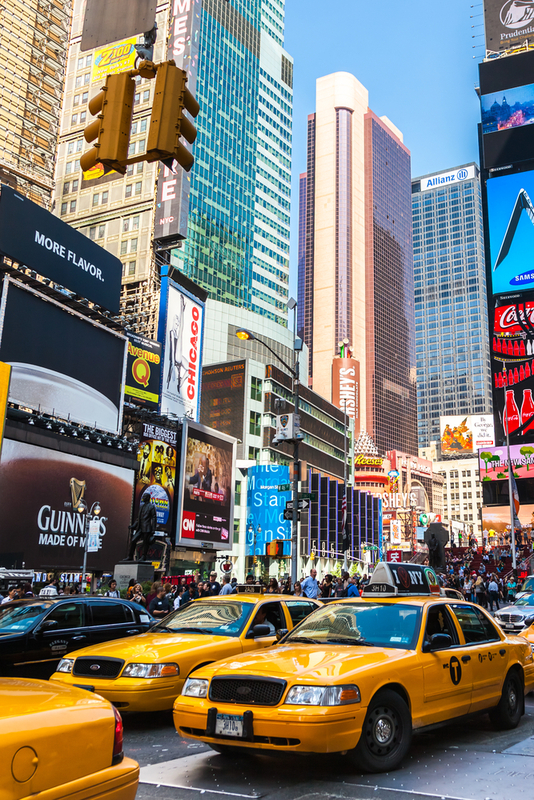 It’s a one-minute stroll to the new family-friendly Times Square where ads the size of skyscrapers lit up the night. When it rained, and boy did it rain, I felt like Harrison Ford in Bladerunner. There, before me, through that tropical thunderstorm, was the face of Sean Bean, 50 stories high, advertising a new TV show. This truly was the shape of things to come. Time to hit that cruise button. Hard. Splendor has a New York state of mind – a colossal stick of Coney Island rock, sweet and satisfying. It’s the ship that doesn’t sleep – complimentary room service is available 24 hours a day as are freshly cooked pizzas, coffee, tea, the best lemonade you’ll ever taste at sea, water, ice cream and frozen yogurt, all up on Lido Deck 9 where movies are shown on a giant screen until the early hours. The casino was constantly buzzing – I heard someone won $140,000 at roulette and then lost it all within an hour. Oh well, he, or she, could always cheer themselves up next door in the Punchliner, the bluest comedy club on the high seas where, just for a change, food wasn’t the most frequently used ‘f’ word. Cruise food is as big and brassy as the ships that dish it up and Splendor’s fare doesn’t disappoint. The Lido deck lunch buffet is culinary heaven. Apart from the usual daily theme menu there’s a Mongolian Wok, a Tandoori station with real clay ovens, a Burrito bar, a hamburger and hot dog stand, a deli with hot pastrami on rye, a rotisserie and the aforementioned pizza place. Doing the Lido shuffle every day is like queuing up at an eatery on 8th Avenue, but that only makes the hot dogs taste more authentic. The Black and Gold Pearl restaurants provide waiter service with two traditional dinner sittings plus an anytime dining option between 5.45 and 9.30pm. There are two ‘elegant’ nights, but I only saw a few guys in tuxedos. This was the school holidays so it was bound to have a more casual feel. The Pinnacle Steakhouse is the only restaurant to have a cover charge, at $35 per person. Some of the steaks are not for the fainthearted – 18oz prime rib – and the cheesecake is as big as life itself. Drinks are great value. I kid you not, a huge Long Island Iced Tea for about a fiver. That’s a good 10 quid cheaper than a cocktail bar in any city in the UK. Watch out – you’ve got to be 21 to drink alcohol, anathema to a guy fresh out of A Levels or a girl in her second year at uni. And honest, guv, you can take the kids, the older the better I guess because it really is a game of two halves if you’re coming from the UK. After sharing ten packets of jaw drops with them amongst those Manhattan monoliths, they’ll find themselves actually hanging out on board with dudes their own age from the Bronx and Brooklyn and Queens all taking a break from the city heat. How cool is that? There were only 27 Brits on the cruise including myself and my wife, Dina, who I love very much (she told me to say that) so their accent will be adored. Splendor is fully geared-up for a juvenile onslaught; Carnival are past masters in the art of adolescence organisation. Each age group has its own snazzy hangout – Camp Carnival is a fully kitted 5,500-square-foot playroom where age groups for supervised activities are 2-5, 6-8 and 9-11. Babysitting services are available in the playroom from 10 p.m. until 3 a.m. and during specified hours on port days. Circle ‘C’ is a club exclusively for 12-14 year-olds and features gaming consoles, late-night movies and a state-of-the-art sound system, while the ultra-cool Club O2 serves 15-17-year-olds. Parents get to have time in the day to remember how things used to be, before the nappies and the tantrums and the teenage kicks right through the night. Check out the Cloud 9 Spa – one of the largest at sea – where time stands still. A day pass costs $40 per person and an eight-day pass is $268 per couple. I’m not a show man. For me, the entertainment on offer in the main theatres at sea is all very professional but a little uninspired. The Spectacular Theatre shows were no better and certainly no worse than all the rest. But judging by the enthusiastic reaction from the audience every night, my view was very much in the minority. 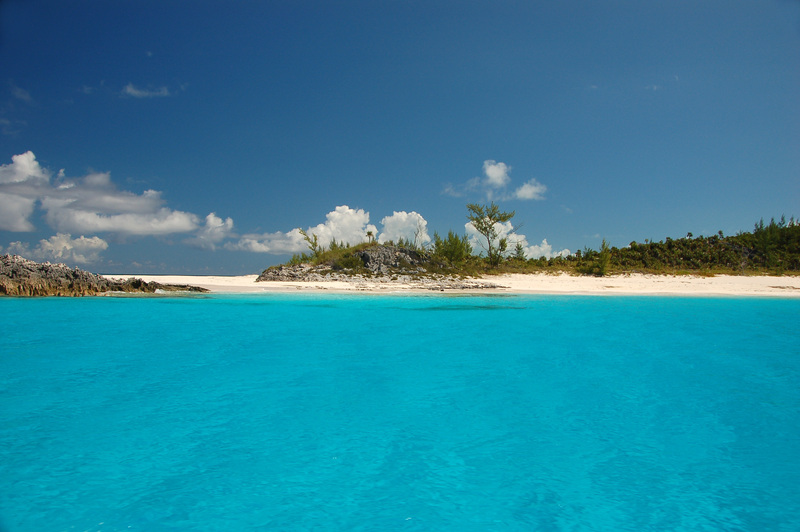 The excursions were mainly beach-based, offering the chance to swim with dolphins in Nassau and ride horses along the shore in Half Moon Cay. You can book them through the TV in your stateroom. Our balcony stateroom was very roomy. Mind you, it had to be to fit in the huge bed. Dina and I slept so far apart she became a distant memory. But we fell in love again (she told me to say that too). Smoking was permitted on the balcony and in designated areas of the ship. 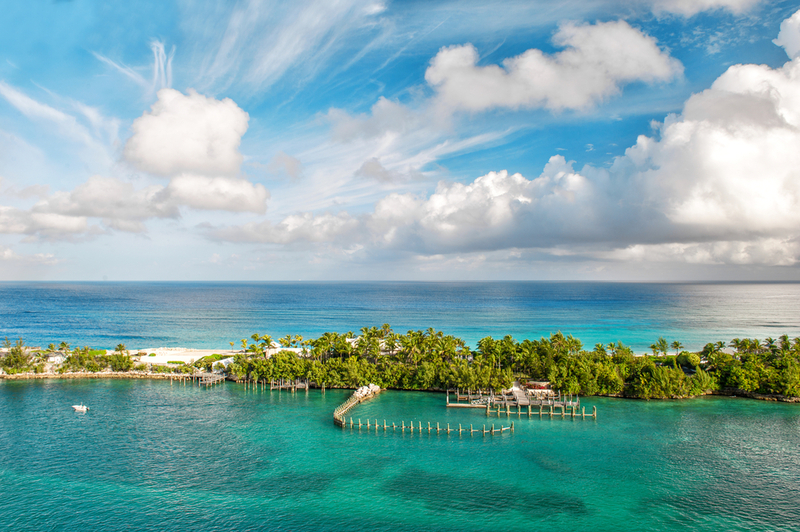 This 8-Day Exotic Eastern Caribbean cruise, coupled with the New York stay, is seriously verging on Brit bucket list territory if you hit it right.